This campaign is set ten years after a previous set of adventures (HERE). This is the Eleventh full session of the current campaign (Session X can be found HERE). *Note: We only had two players this session so it was decided out of character that the party would split up just for the convenience factor. Last session the characters came to Mount Hai'an to find the child of the Calamity Star. This was a prophecy uttered by General Dou Lun upon his death at the battle of Yue Zhing 98 years ago, when the Glorious Emperor defeated the rebels and drove them into hiding in the south. They found reports at Mystic Sword Temple indicating that when the Calamity Star reformed several years ago, the child with the mark was born in either Buak or among the Kailin. “When the Calamity Star rejoins I will be reborn. My skin will be marked by the birds of paradise flower and I will reclaim The Empire for the Daolin people”. During the travels the party was attacked by henchmen of The Yao, an elite force under the command of the Glorious Emperor. The attack failed and they took a prisoner who informed them that the initial attack was to set them up for an ambush. Min and Lingsu decided to head to Buak leaving the remaining members of the party to stay behind and fend off the incoming Yao ambush. When they arrived in Buak they found a simple Zun village in a small crevasse near the edge of the mountain side. There the Zun had three enormous statues of the Bold King on the rim of the canyon and cave dwellings built into the cliffside. Their guide spoke the local language so they were able to meet with the chief who informed them that a child had been born seven years ago and was taken by a man named White Qirin. They had already heard this name before as he was the man who recorded General Dou's Calamity Star prophecy. The chief also told them that the woman who had the child was named Shui Nuk and he directed them to her dwelling. They asked about White Qirin's whereabouts and learned that he had taken the child to a village called Bao. Before they left, a loud drumming emanated from the forest. The Chief told them it was probably the Nusa, another local tribe. They went to Shui Nuk's house and spoke with her. She was not friendly and seemed to resent their presence. She said White Qirin had taken her child and she could do nothing as he was too powerful. Nuk had six other children there and a husband (the children ranged in age from 7 to adult). Lingsu would later confirm that the youngest was the twin of the child taken by White Qirin. The chief had forbidden her from retrieving her baby because he read the stars and decided it was fate. There was more drumming and they departed. Outside of Shui Nuk's home they saw men gathered on the edge of the canyon at the base of the statues of the Bold King. One of them was dressed in dyed furs and was chanting above a tripod cauldron with rising smoke, another was loudly beating a big drum. At the last moment the players noticed the smoke had billowed and gathered into a shape above their head, a giant serpent with the head of an ogre and round belly with crocodile skin. Lingsu used Great Stride to go to the men by the statues. Their guide ran into some nearby foliage. The creature then thumped on its belly and a resounding echo smashed over Min who felt it coursing through her meridians and damaging her internal organs. Before it could strike again, Lingsu grabbed the tripod cauldron and used his Eagle Descends Loudly Technique to slam it into the Ritual Master. The hot metal cracked his bones and dropped hot embers onto his flesh. He was dead in an instant. This vanished the billowing smoke and the creature evaporated. A wave of terror spread through the Zun who began to flee. Lingsu grabbed one of them and held him captive while Min retrieved their guide. They forced the prisoner to tell them the location of his camp, which he eventually revealed There they spotted two Imperial officials, who had their own tent but seemed quite out of place. Min and Lingsu asked about he officials but the captive was reluctant to speak until Lingsu threatened to lop off his right arm. He told them that the officials had warned them about the PCs and urged the Ritual Master to go to Buak to stop them. They knocked out the captive and used Great Stride to enter the tent of the officials. One of them proved tight lipped but the other spoke when he realized their lives were in danger. He informed the party that Prime Minister Cai had foreseen their arrival in Buak and sent them to make sure they never found the child. This visibly angered the other official, so Lingsu killed him (thinking it would endanger the one who gave them information if he did not). They left the camp and went to Bao. They followed a winding path up the mountainside that led to a pavilion. At the pavilion was an old man with a stone Weiqi (Go) board beyond the pavilion was a shimmering wall of golden energy. The man introduced himself as Old Brow and asked if they intended to go to Bao. When Lingsu said yes, he invited him to play Weiqi. They discovered that with each move that gave them an upper hand they could read Old Brow's thoughts, and vice versa. He asked them a number of questions and they were able to determine he was initially concerned that they were agents of the emperor. When it was clear the were not, he allowed them passage, and they were able to pass through the energy wall. 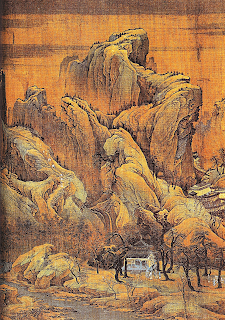 In Bao they found an open-air tavern called the Lazy Chrysanthemum. The proprietor, Qibao, turned out to be White Qirin and his granddaughter, Water Lily, turned out to be the child with the birds of paradise marking. 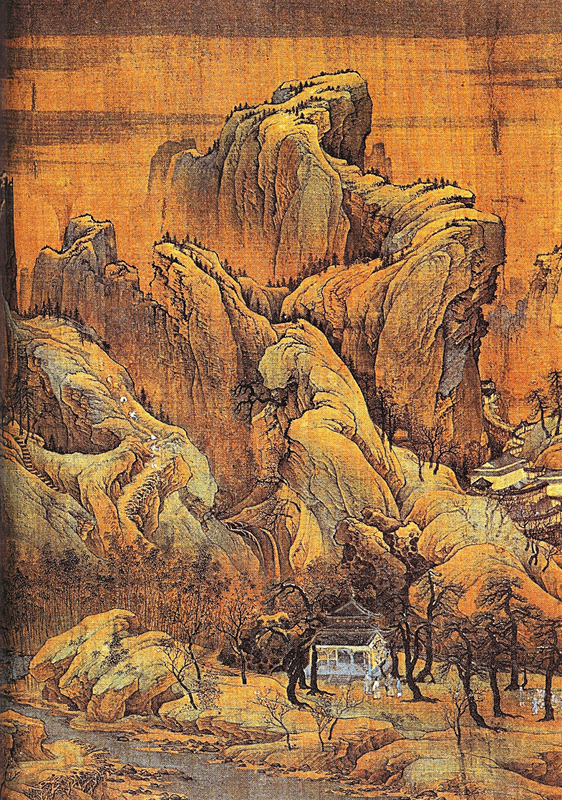 They learned that White Qirin was old (about 117 years) and near death. He clung to life waiting for someone like the PCs to arrive and when they did, after he decide they were trustworthy, he asked them to protect Water Lily. He had received a message from one of General Dou's other men, saying that the general had left an elixir for the child below the chambers of Ogre Gate Inn. White Qirin believed this should be their next course of action but Lingsu was suspicious and said he wanted to investigate the matter first. They left Bao with Water Lily and returned to their party's camp.